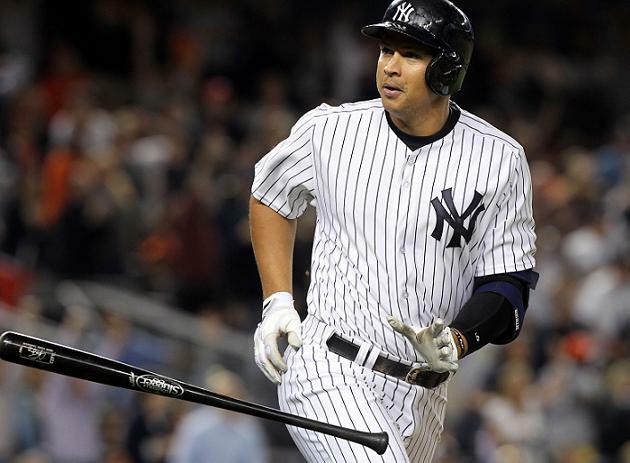 After months of legal battles attempting to clear his name and overturn his year long suspension from Major League Baseball were unsuccessful, Alex Rodriguez was left with a bruised ego and a $4 million tab in legal and investigative fees. There's not a lot he can do about the ego problem. He's probably stuck with that forever. However, the legal fees would go away quickly and quietly by simply writing a check and putting it in the mail. Easy, right? Especially for the highest-paid athlete in the history of professional sports, who in his first 20 seasons of professional baseball earned $353,416,252. Of course not. It can never be that simple for A-Rod. According to a Newsday source, for whatever reason A-Rod has neglected to pay off all his bills two months later and still owes his attorneys and private investigators as much as $3 million. The report goes on to state Rodriguez's lawyers have been reaching out over the past few weeks but by and large have been ignored in their attempts to collect. The source said Rodriguez has not fully paid Joe Tacopina, his lead attorney, or veteran sports lawyer David Cornwell. The Reed Smith law firm has also reportedly not been completely paidfor the work it did on behalf of Rodriguez. Washington lobbyist Lanny Davis received a substantial retainer when he joined Rodriguez’s legal team, the source said. It’s not clear if he has been paid in full. Somebody's lying, confused or completely misinformed, but at this point there's no telling which side it is. Either way, A-Rod obviously has motivation to pay beyond his legal obligation to do so, because if he doesn't it won't be long before those who supported him go into business for themselves. How many people would secretly — or not so secretly — love to see it come down to that? If your hand isn't raised, you're lying to yourself. Unfortunately, A-Rod's slightly opened door to return to MLB — which he still intends to try — would also slam shut if he found himself in any more legal troubles. That's perhaps his biggest motivation in life right now, so it's tough to see him jeopardizing that over $3 million. Or maybe we're underestimating just how stubborn and delusional he is. It's a tough call and only he knows the right answer.